Cancer is such a staggering epidemic–the sheer number of people affected by the disease is as heartbreaking as it is mystifying. As we are slowly learning more about the causes, we are beginning to learn more about preventive measures. In terms of the relationship between diet and cancer, this leads us to lists of what not to eat (french fries, sigh), as well as the other side of the coin: What we should eat (artichokes and red wine, yay!). 1. 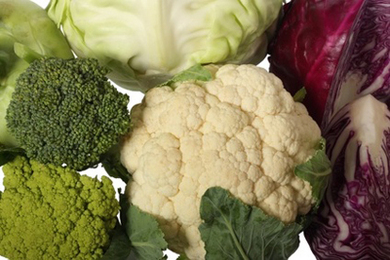 Cruciferous vegetables: Broccoli, cauliflower, cabbage, Brussels sprouts, bok choy and kale. These score high for containing many anti-cancer substances, such as isothiocyanates. 2. Globe artichoke for very high levels of salvestrols. 3. 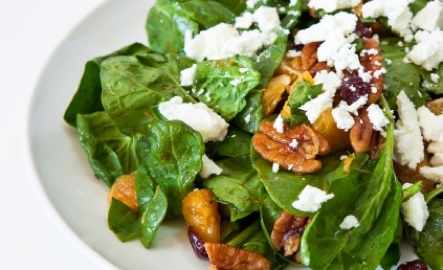 Dark greens, such as spinach and romaine lettuce, for their fiber, folate and a wide range of cancer-fighting carotenoids. Other dark colored veggies, too, such as beets and red cabbage. 4. Grapes and red wine, especially for the resveratrol. 5. Legumes: beans, peas and lentils, for the saponins, protease inhibitors and more. 6. Berries, particularly blueberries, for the ellagic acid and anthocyanosides. 8. Garlic, onions, scallions, leeks and chives, for many anti-cancer substances including allicin. 9. 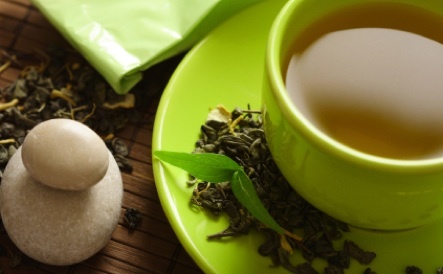 Green tea, for its anti-cancer catechins, a potent antioxidant. 10. Tomatoes, for the famous flavenoid lycopene. • See the list of Top 10 Foods that Increase Cancer Risk. • If you think you don’t like Brussels sprouts, try this recipe for Roasted Brussels Sprouts with Cranberries. • Know how to cook an artichoke? Here’s how. • Wine is good, but which wine is best? Read about organic wine and what the labels mean here.